St. Joseph Hospice was recently honored by the 307th Bomb Wing at Barksdale Air Force Base. Mary Buckels, Hospice Administrator, and Kenneth Brown, Hospice Chaplain and Air Force Reservist, attended this special event. Hear from Mary in the paragraphs below as she reflected on this unique experience and honor. Saturday, June 2, 2018 started at 4:00 am in a hotel room in Shreveport, LA. This was not a new experience as I have traveled the United States doing this thing called hospice; but never was I to report to an Airbase. To be honest, never did I see my self-spending the entire day with a chaplain, but this was not a usual event, nor a usual chaplain. Today, the 307th Bomb Wing at Barksdale Air Force Base celebrated Employer Day via special invitation of Kenneth Brown, St. Joseph Hospice Chaplain, who insisted that St. Joseph Hospice needed to be recognized. This day was about recognizing employers who hire U.S. military reservists and retirees. It was about honoring those who embrace the realization that for the military to complete their mission without the support and understanding of their civilian employers that stand behind each one of their employees, and Airmen of the 307th, along with the dedication to our nations values, their job would be even tougher than it is. I believe that by accepting the invitation and recognition for St. Joseph Hospice as an organization, I was accepting this great honor for every employee of The Carpenter Health Network, and all of its entities. It makes my heart feel good to have been given that honor. The opening ceremony was wonderful and the Commander of the 307th, Colonel Robert W. Vanhoy, gave the welcoming speech and a very heartfelt “thank you” to all employers. His talk revolved mainly around the type of employee the military can provide and the traits of the great leaders each Airman portrays. He boasted of traits such as a purpose-driven lifestyle, respectful behavior, strong leadership abilities, and great compassion. 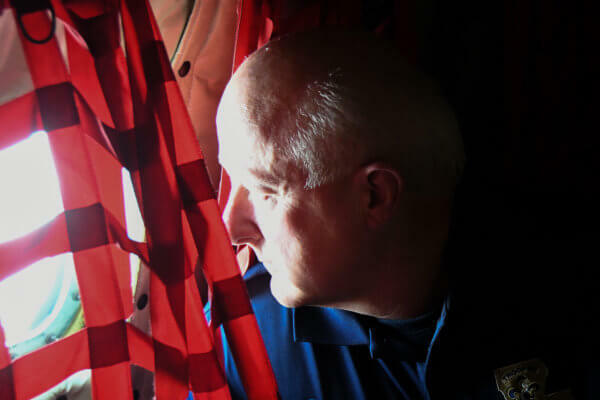 When the Commander was talking, I realized that I see all those qualities and so much more in our Chaplain Ken, as well as the other reservists and post military persons whom I have worked with through the years. After the opening ceremony, we were all escorted to the plane, a B-52H, and taken to Tennessee. While flying, a mid-air refueling was completed. This flight was amazing as the plane was made in 1962 and was used in many engagements in its lifetime. The plane remains fully ready for action and can be called upon at any time. I think the most important reality for me on this day is my great love of our country and my deep trust, honor and respect for all military personnel, both past and present. In closing, on behalf of The Carpenter Health Network and its entities, I want to thank all U.S. military personnel that should read this “Day of Reflection.” Thank you for your service to this great country, and a special thank you to Kenneth Brown, St. Joseph Hospice Chaplain. 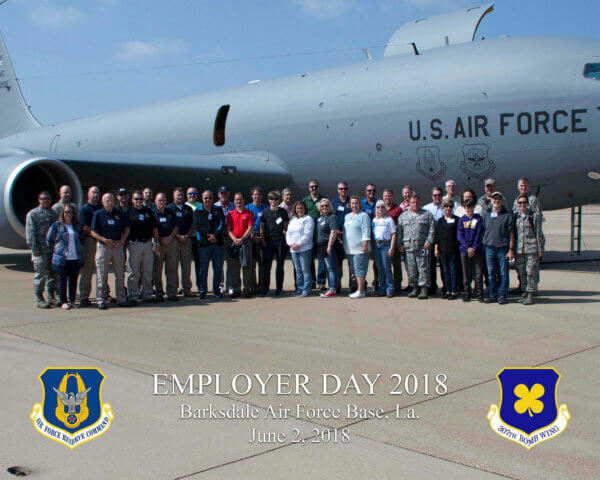 View the 307th Bomb Wing Employer Day 2018 Photo Album for alook at the da’s events, including the inside of the B-52H.